Brigham Young declared, "If we are to be saved in an ark, as Noah and his family were, it will be because we build it." 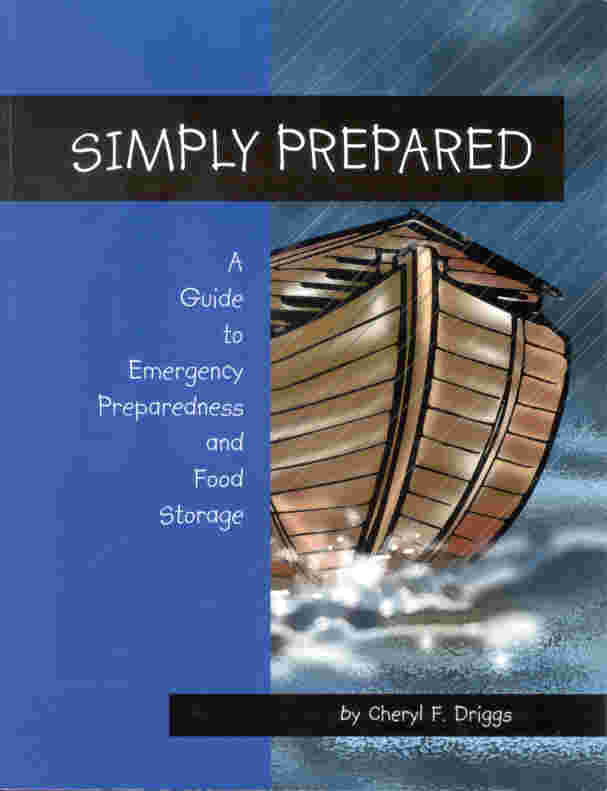 The material in Simply Prepared comes from years of teaching, study, and practical experience in home storage and preparedness. Most of it was compiled for a series of classes given to help others be preparedness teachers. The information is simple and straight forward because when preparedness is simplified, it becomes less overwhelming. What If? - some questions to ask yourself. The Basics - why, what, how, and where to store. Food Basics - grains, beans, honey and sugar, powdered milk, dried foods, and home canning. Non-food Basics - water, fuels, sewing supplies, and equipment. Emergency Preparedness - disasters, recovery, and 72-hour kits. Record Basics - finances and when Mom's gone. The Newly Revised and Updated Simply Prepared will be available in the near future. If you would like to be notified when this new edition of Simply Prepared is available, please email us and put "notify" in the subject line.